So this week sees us enter March, which to me marks the start of Spring... hopefully. I am so ready for the weather to get brighter and warmer, and to be able to pack away the tights and winter coats. Flowers always brighten up my mood aswell as a room, so to get into the Spring spirit i added some pretty florals to my bedroom. In keeping with the Spring trend, i managed to get my hands on a pastel pink coat which is something i've wanted for a while now. I scoured the internet high and low, and finally decided to try out this one from Boohoo. I didn't get my hopes too high as in the past i've been disappointed with their items once i've seen them in the flesh, but this coat was a winner! I've had a lot of compliments on it too, and to see me wearing it check out my OOTD post below. Are there even any words to caption this picture?! On Saturday my mum and I decided to go to Centre Parcs for an afternoon outing, Sherwood Forest Centre Parcs is a 5 minute drive from my house so is the perfect place for a little trip out. 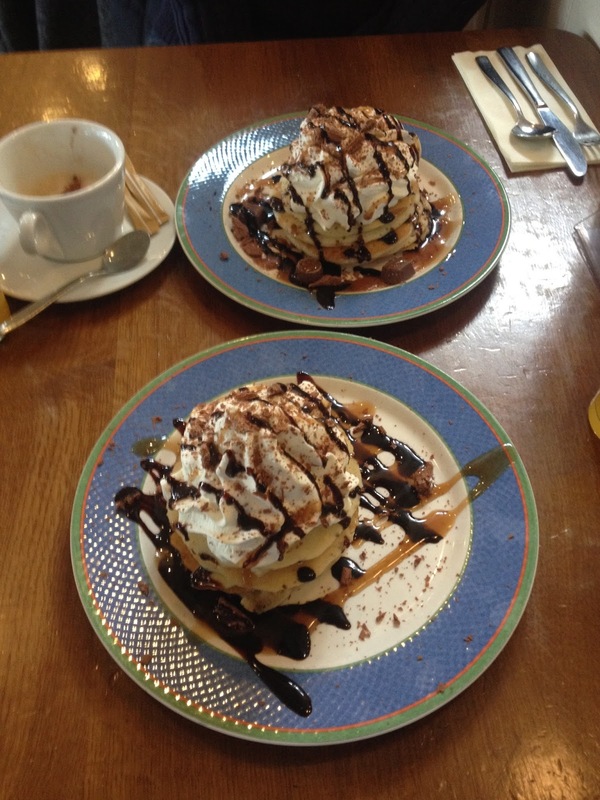 Our walk was slightly cut short when we felt the need to hit The Pancake House... and this happened, the American pancake stacks. They were so good but left us in a bit of a sugar coma, but it was totally worth it. You have to end the week with a treat, right?